DESCRIPTION 2 STORY home WITH LOT for under 250K!! Incredible VALUE in this Big Springs mobile with HUGE 2 story addition. NEW vinyl plank flooring throughout entire main floor in contemporary color as well as a fresh coat of paint through the entire house. ROOF REPLACED 2013. Large open kitchen and eating area flows into a large rec. room, continuing on to a 2nd oversized living room area with HEATED FLOORING and giant windows letting in plenty of sunshine. Cozy fireplace and modern lighting complete this room. LARGE NEW south facing DECK with built-in benches to enjoy sunny days overlooking greenspace. Upper level comes with 3 bedrooms and bathroom. Luxurious Main floor bathroom is an oasis complete with modern tiling, large jacuzzi tub, and a glass bowl sink. There is an abundance of storage space in this home! This home is also fitted with an attached garage (NEW garage door) Garden shed perfect for keeping all of your lawn equipment. Walking distance to schools, pathways, shopping, and entertainment. Home for sale at 52 Spring Haven CR Se Airdrie, Alberts T4A 1B1. 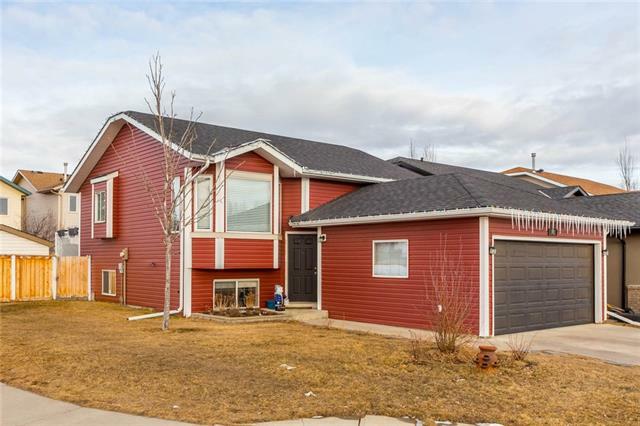 Description: The home at 52 Spring Haven CR Se Airdrie, Alberta T4A 1B1 with the MLS® Number C4222150 is currently listed at $229,000.